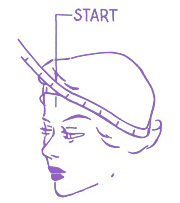 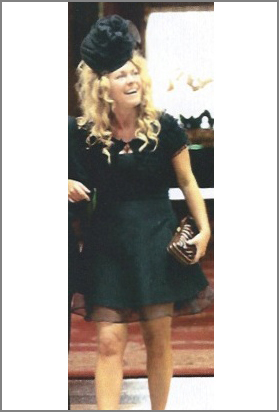 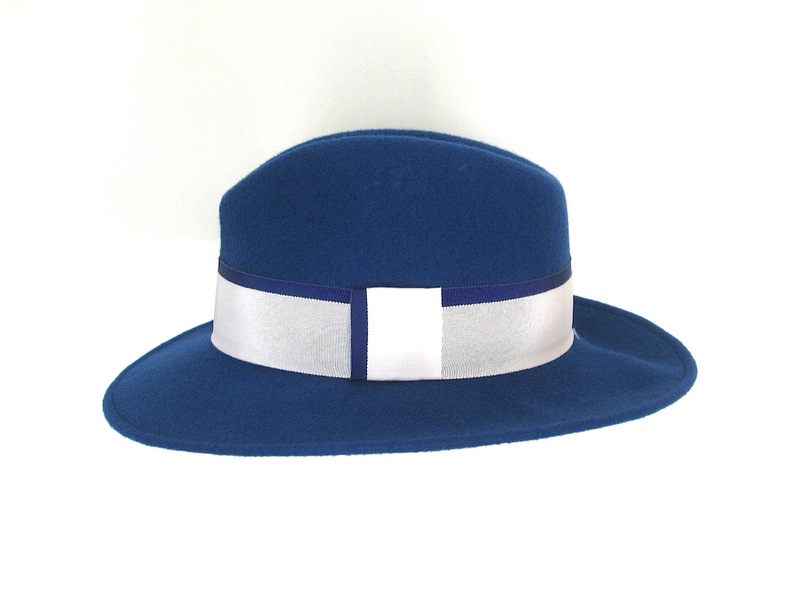 Sorry this product is currently out of stock but we can re-produce this hat to your own specifications. 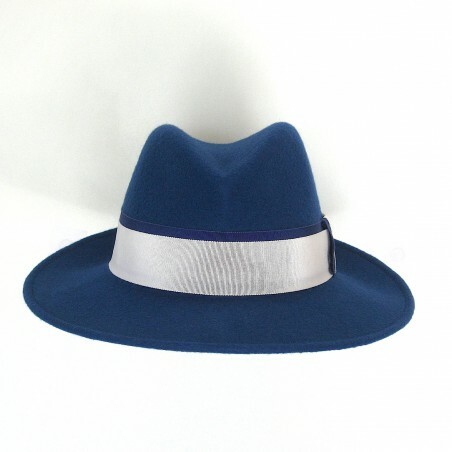 Please drop us an email before ordering this product, so we can give you an estimated production schedule! 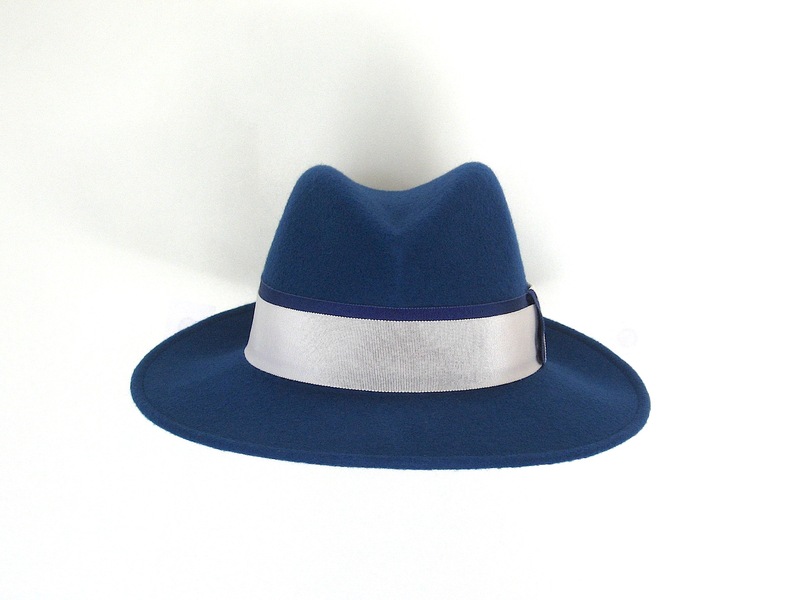 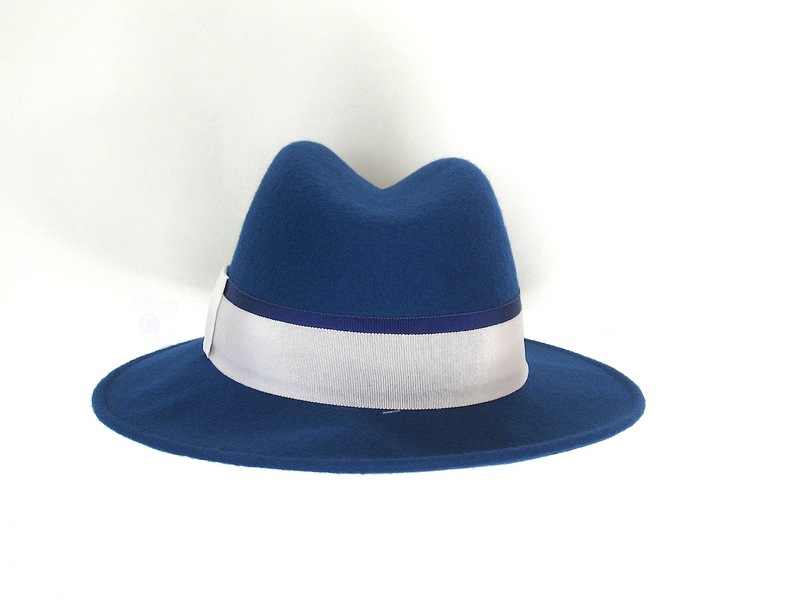 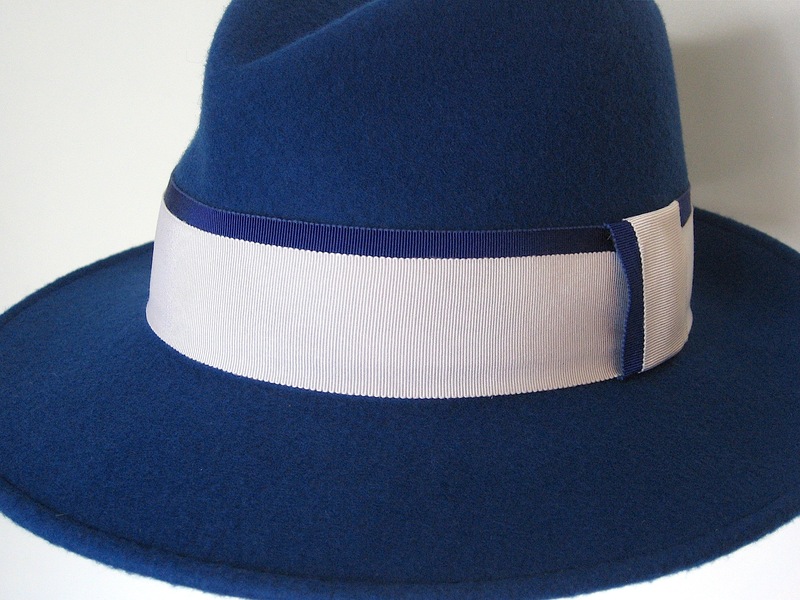 Blue wool felt fedora with royal blue and white petersham flat drape.